If you thought Druids were bearded men given to wearing long white robes and dreaming of glories past, then clearly you have yet to meet Cat Treadwell. She has been a practising Druid for some ten years now, a member of her local Derbyshire Grove. For her getting out into nature is the key: “representing the turning of the seasons” and measuring “how the world impacts on us, and we on it”. I finally see women practicising druid, unfortunetly the only unhappy thing is that the druid knowledge only comes to be known in some places, in other places as the one i live, we may have questions but we have no one’s help to find out what our “insider voice” (if you do understand me) seems to try to yell to us and we keep on not understanding, except that i feel i can only find out the answers in druid knowledge. Where do you live? Perhaps we can help you connect with others who are Druids. Well, I live in Pico Island, from Azores of Portugal, and i’ve never known any druid, only with a recent search on the internet i’ve found that druids still exist nowadays and that they are still deeply connected to nature and mother-earth. But still couldn’t get any books or nothing about this and this was the only website i’ve found that speaks about it. I would love to seek for the druids in search for answers but, what help can i receive from such a distance? I would love to meet with Cat someday to talk, maybe next summer. 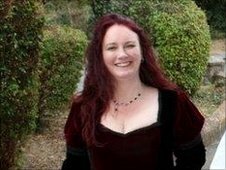 I have been a female druid leader for wll over 30 years now and have founded groves in 4 different communities. The Greenwood/Emerald Grove in Seattle will celebrate it’s 30th. anniversary at Samhain. It is a wonderful life filled with much energy and fellowship. Keep up the good work Cat.